I hope you enjoy this newly created image of Merlin painted by Ariel Churnin (as revealed in my interview video with Al Leone). I think this image captures beautifully the “colorful” side of Merlin’s individuality and flair. Entitled “Merlin’s Cloak”, it invites you to step in and partake of his energies that you may think are otherwise cloaked (pun intended) and hidden from you. Merlin himself has emerged from human myth and enigma. Today, he is a household name and the subject of Hollywood fantasy, but he has come forward and like other mysteries he is being revealed to the seeker. 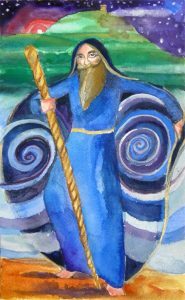 In turn he is inviting YOU to step into your own wizardry, self knowledge and the empowerment that ensues from an overseer such as Merlin provides. Merlin stepped into the earthly realm at various times and took form just like you and I. His universal consciousness has undergirded philosophical expansion and societal development (Camelot inter alia) as part of the Divine Plan. His mission is our mission now, as above, so below, in Time and No Time. We and the Ascended Masters are all one, unified across dimensions, time and space. The new Golden Age is our baby; let us imbue it with the highest attribute of Unconditional Love and build together The New Camelot! This time, however, we can all think of ourselves as the Holy Grail. We are each a vessel of Love and Light to be poured upon humanity. Merlin is no stranger to those familiar with the spiritual hierarchy. For the materially bound, his commercial images and even his existence may seem to be a contrivance, but his arms are open to you, the serious student, who is ready to exalt the divine presence of the Creator and realize your Inner Reality. Merlin is a Master of Alchemy, Magic and Manifestation. If you so elect, you may step under the protection, wisdom and guise of his cloak. In so doing you will draw the love of the Creator round about you. With Merlin you may engage in the spiritual alchemy of your soul. You may recall the bible story in 2 Kings 2, where the spirit of the Prophet Elijah was passed onto his devotee, Elisha, after Elijah’s body was taken up by a horse drawn chariot. Elijah literally passed on his mantle to Elisha beside the River Jordan and Elisha smote the water with the cloak to part it, like Moses with his staff and the Red Sea. Elijah gave the proviso that Elisha had be able to “see” what was happening in order for this transfer to occur and the test was threefold. We may infer from this story that the invisible becomes visible through the master’s cloak. Elijah’s cloak is described as the means of transference for Elisha to step into his master’s shoes. Of course, it is not a coincidence that Merlin, in his last lifetime on earth, was known for his prophetic utterances, although they were not well understood; the spirit or mantle of prophecy rested upon Merlin. 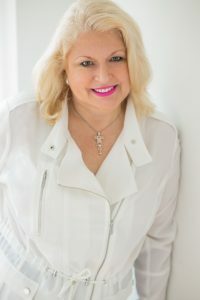 I too sat under a prophetic mantle in the 90’s in New York where I received seven years of spiritual training. In the late 90’s, Deepak Chopra wrote a book entitled the Return of Merlin — no accidents here — which I curiously did not discover until after the publication of my book in 2011. 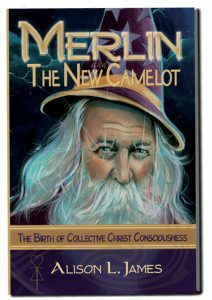 Merlin and The New Camelot: The Birth of Collective Christ Consciousness is not a fictional tale. 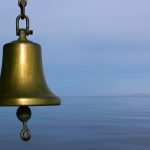 Sometimes, I am asked to explain the connection between Merlin and Christ Consciousness — the vagaries surrounding Merlin’s true existence overtook human reality it seems. Simply put, Merlin works in the Office of the Christ in the heavenly realms. It is our modern day vernacular of “magic” that has clouded the way to the true understanding of his gifts of a planetary, solar, galactic and universal nature. His moon and star-spangled hat and cloak have in and of themselves created an illusion.